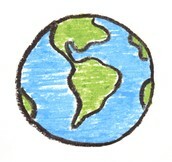 What on Earth are you doing for EARTH DAY?? Come to the Tatkon Center from 3-5pm on Friday, April 22nd to celebrate Earth Day with the Tatkon Center and the 2019 Class Council. There will be free cake and fruit, henna tattoos, recycling games, and so much more! Want to hear a joke? What did Obi Wan Kenobi say to the tree?